available on iOS and Google Play, everywhere! STOCKHOLM, SWEDEN / SLIEMA, MALTA — Tuesday 28th March 2017 — Gaming Corps AB and Karmafy today announce the full release of Karmafy “freemium philanthropy” in Slam Dunk Basketball 2 across iOS and Google Play everywhere. Gaming Corps AB uses the Karmafy platform to listen to and engage with its gaming community as a way to support great causes. “Player D7 retention went up by 7% and social sharing tripled for Slam Dunk Basketball 2. We can now enable all Slam Dunk Basketball 2 players around the world to be part of our ‘Play & Do Good’ platform.” said Michael Schmidt, Head of Product, Karmafy. 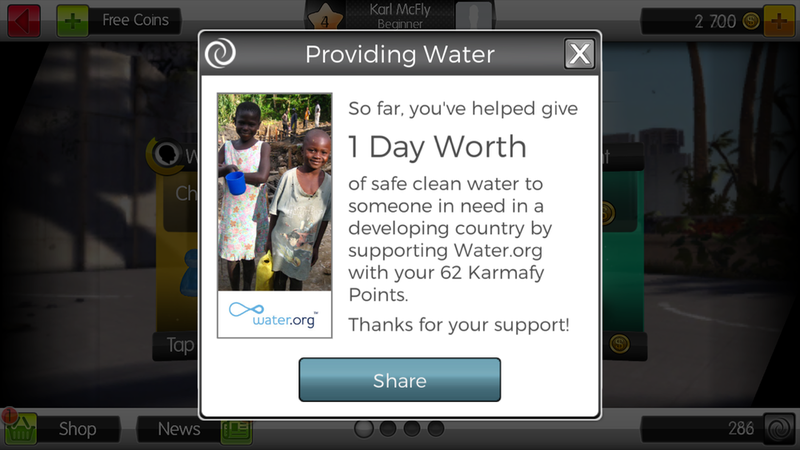 Gaming Corps AB uses the Karmafy platform to let players freely direct a portion of game revenue to good causes. Partnered with a number of recognised charitable organizations; Right To Play, Water.org, APOPO, Kickstart International and Barefoot College, players can directly help their favourite charities simply by playing the game - and it is free. This information is information that Gaming Corps AB is obliged to make public pursuant to the EU Market Abuse Regulation. The information was submitted for publication, through the agency of the contact persons set out above, at 12.00 am CET on March 28, 2017. Original press-release: Gaming Corps - ”Slam Dunk Basketball 2 - Play & Do Good” available on iOS and Google Play, everywhere!